Not everyone wants just one Glock 43 holster. Why be confined to just one method of carry if you don't want to? At that, why go broke chasing that perfect holster for IWB concealed carry, another one for appendix carry, and OWB holsters for easy concealment or range use? It isn't unheard of for people to spend almost as much on holsters as they did on their gun! But what if you didn't have to? What if there was a modular Glock 43 holster that was able to do all of the above? Just such a G43 holster exists: the ShapeShift by Alien Gear. The ShapeShift is a culmination of more than two years of research and development in devising not a holster but an entire carry system that allows the user to configure it to carry in whatever manner they wish when they want to. How this is able to be done comes down to the unique shell system. 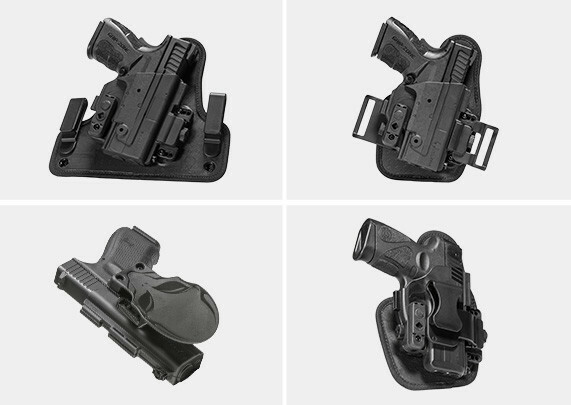 The ShapeShift Core Carry Pack includes one full Shift Shell and two trigger guards. These fit together using our proprietary locking rail and twist locks. Included along with these shells are two backers and several types of belt attachment. These allow you to create the holster of your choice, whether it's a Glock 43 IWB holster, appendix holster or OWB holster that you want to assemble. For a traditional IWB Glock 43 concealed carry holster, select the larger IWB backer. Attach a trigger guard shell and a full-length shell and dock them to the backer. This configuration is the traditional hybrid IWB holster style that many are used to. 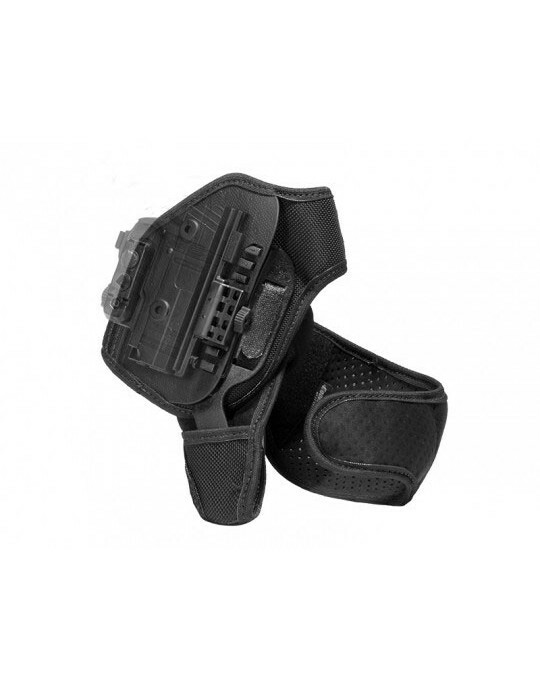 Just like our other IWB holster, the belt clips are adjustable for ride height and cant. Additionally, the materials are the same as our Cloak Tuck 3.0 holster, and will likewise conceal and carry in incredible comfort. The smaller backing pad, which accepts the same half-shell and full shell, gives you two holster options. Attach the larger belt clip for a Glock 43 appendix holster. 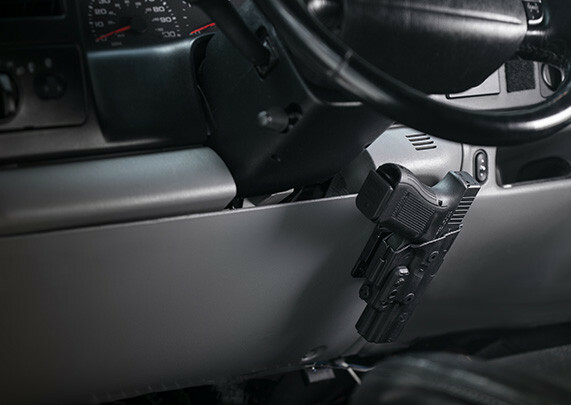 However, if you prefer to primarily or on occasion concealed carry with a high-ride Glock 43 OWB holster, attach the belt slide clips and you'll have created a high-ride belt slide hybrid OWB holster that pulls tight to the body and carries comfortably. If you prefer to open carry on occasion, you can also assemble the two full-length shells and insert the paddle attachment into the attachment port on either side. 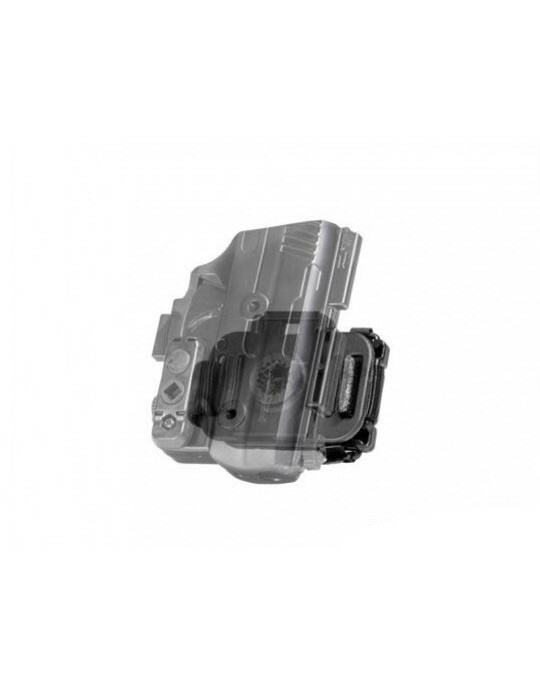 This gives you a robust Glock 43 paddle holster, which is also adjustable for cant. Wondering about retention? The ShapeShift has both passive and active retention devices. The trigger guard shells can have a retention bar installed on them to provide passive retention. Choose light, moderate or heavy passive resistance. Active retention devices, such as a finger-lock and thumb release, are also included with the ShapeShift, giving you the option of passive or active retention - or both. Just like our other holsters, this Glock 43 holster system comes with Alien Gear's Iron Clad Guarantee. This includes our 30-day "Test Drive" trial period. 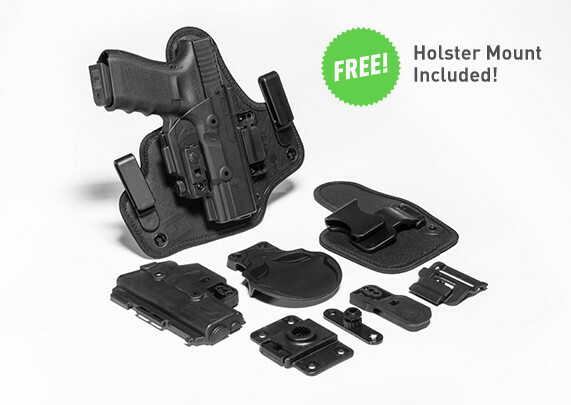 During the first 30 days of ownership, you can return the holster for a full refund if unsatisfied. We also cover the ShapeShift with a lifetime warranty. So long as you own this holster, we will fix any issue that should arise with it or send you a brand new one. Welcome to the last holster you may ever need.